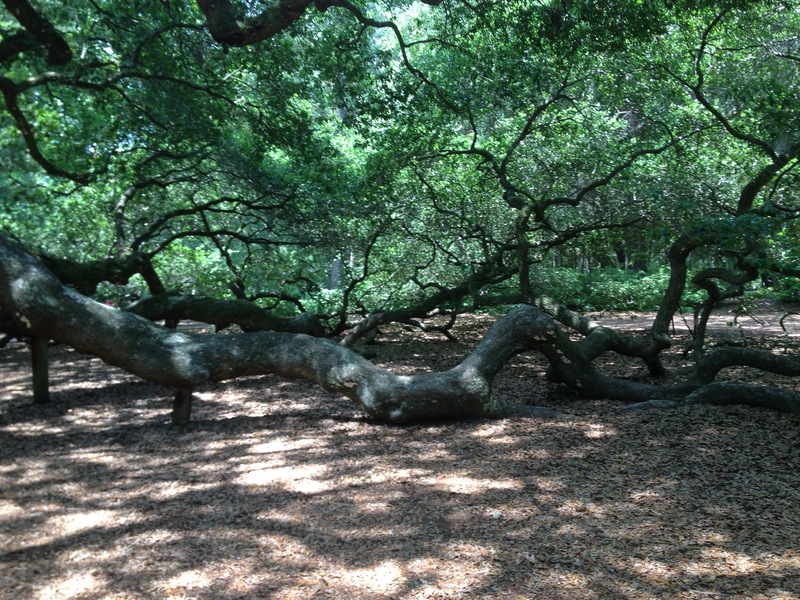 When we went to Charleston South Carolina, we also stop at two close by islands. The first one was Wadmalaw island,there is the only American tea farm that has 320 species of the camellia sinesis tea plant, which by the way is a cousin to the beautiful Camellia that I post pictures of around Dec. 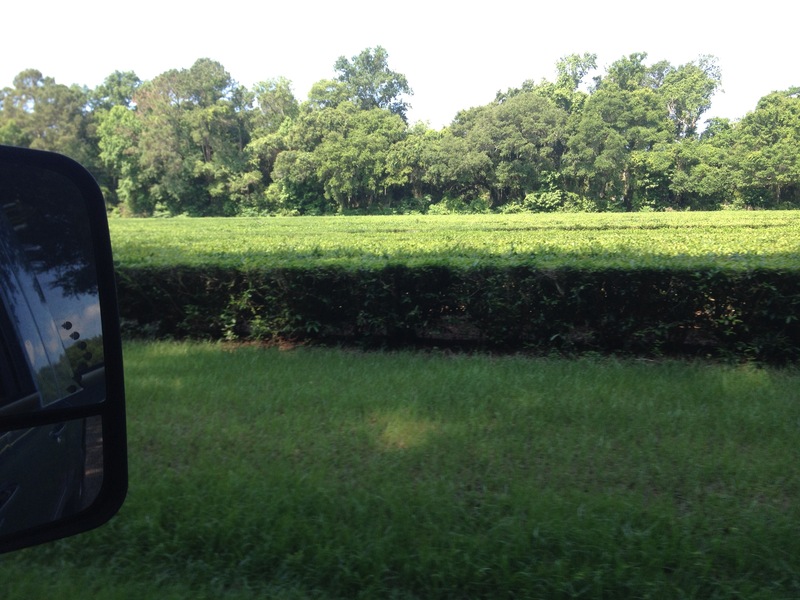 The plantation is 127 acres with most of it in tea plants which really look more like shrubs trimmed up nicely! In most countries they pick the leaves by hand , here beings there are only four workers working the plantation , the owner made a combine looking equipment to cut the leaves off the top of the plant giving the plant a very tidy look. 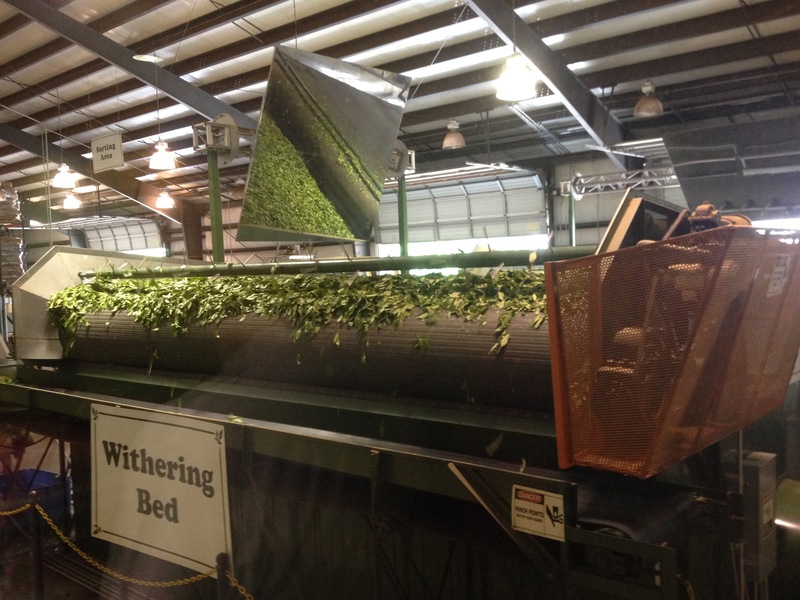 We were also able to see how they dried the leaves to make either black tea or green tea. With green tea it doesn’t go through all the process that black tea does. If you look in the big mirror you can see green leaves,they are in a bin with air flowing under the leaves they let them set,for ,if I remember right ,about 24 hrs,then the leaves make the trip to the over the roller with screen like netting that still has air blowing the leaves to drop to a belt below that then carries them to the conveyor belt ,then to the hopper that grinds the leaves. 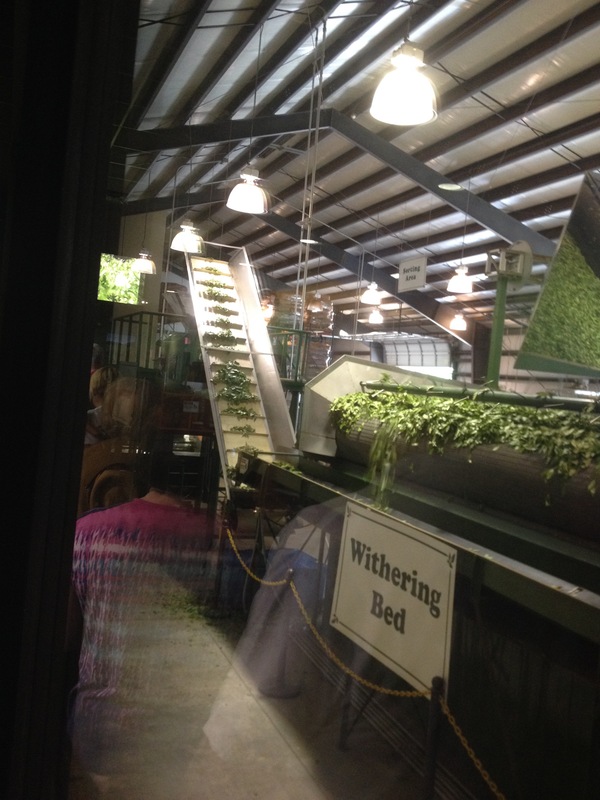 They go through three grinders until it is once again laid out on a large conveyor belt that dries them under heat lamps ,from there the leaves are ready for packaging. http://www.charlestonteaplantation.com/, it is really good tea. 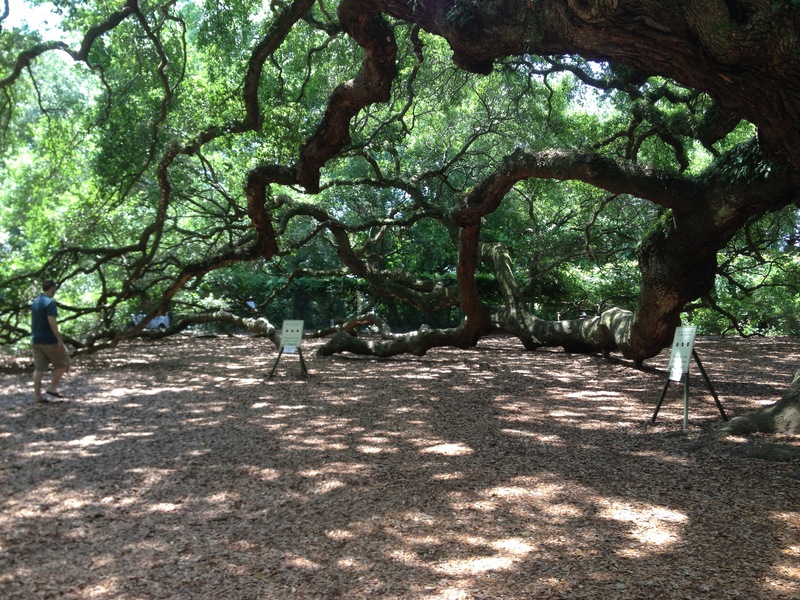 Then we went to see the Angel oak tree on John Island. It was hard to get the tree all on one photo shot,one reason beings it was huge ,the other because of people. The next photos are mine. If one was wearing high heels they were to remove their heels before going close to the tree. 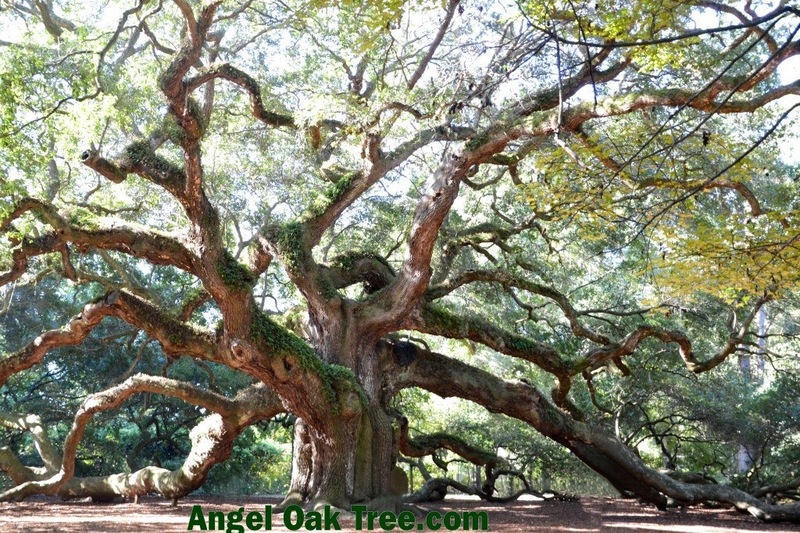 The root system was to be protected for the ground there was soft. 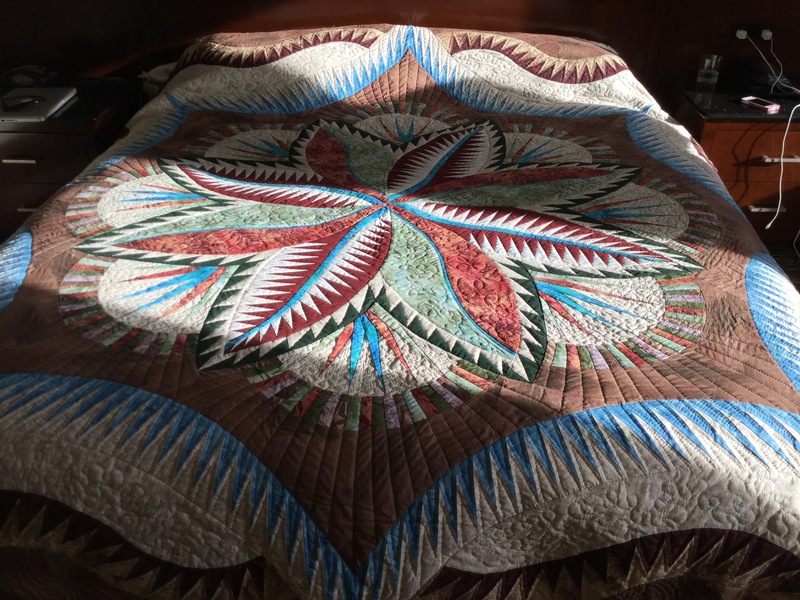 This entry was posted in Fire Island Hosta Queen, quilt, Uncategorized and tagged plantation, quilt, tea, tree on June 11, 2016 by Deb.